A cheese lovers paradise to support an international cheese specialist. 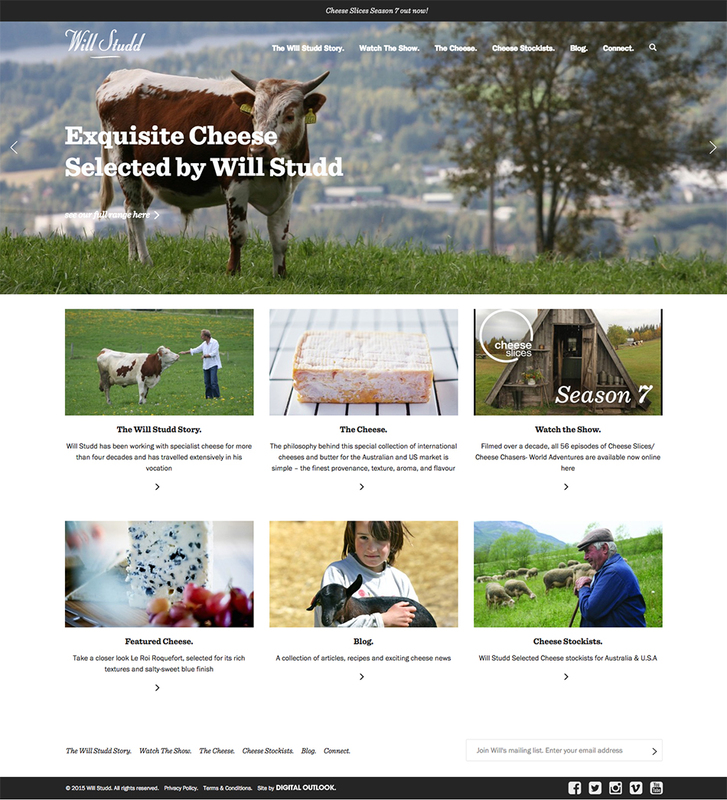 Will Studd is an international cheese specialist and the executive producer and presenter of Cheese Slices – a unique television series focused on artisanal and traditional handmade cheeses around the globe. 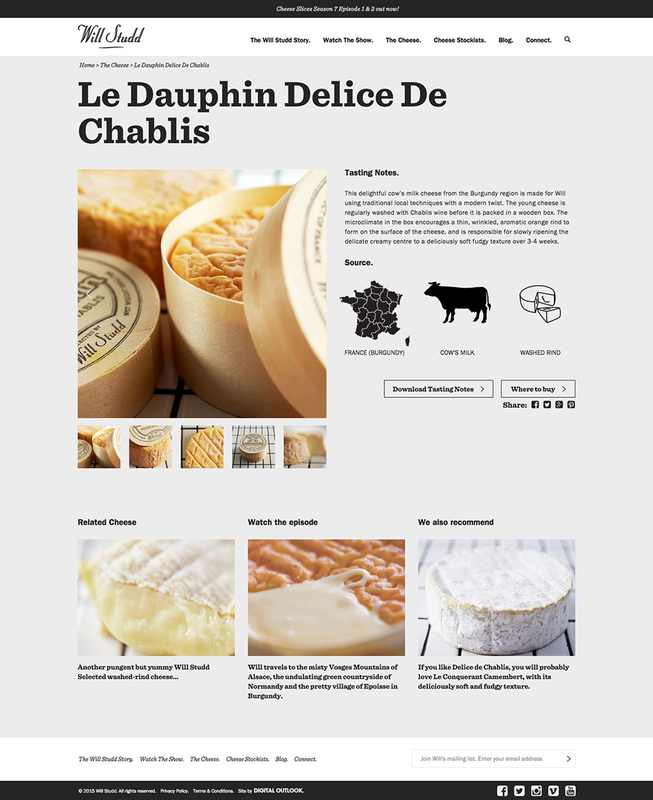 The brief was to create a responsive website that promoted the TV series, showcased the range of ‘Selected by Will Studd’ cheeses and to build Will’s brand to an international audience. Our first priority was to overhaul the existing website user experience and make it easy for cheese lovers to explore all 7 seasons of the show, browsing by season or searching for specific episodes based on cheese types and countries where the show is filmed. All episodes for a season can be previewed without leaving the season page and clear call to actions featured to purchase full episodes or seasons on iTunes or Vimeo. The engaging video content is supported with rich imagery and tasting notes on all ‘Selected by Will Studd’ cheeses as well as locations in Australia and the US where they can be purchased.